A human being portraying a fictional character that touched, if not inspired, millions for almost 50 years, Leonard Nimoy and Spock will be indelibly etched into history as one entity. A human actor who secured a role in 1966 as an alien aboard a starship with over 400 humans, Nimoy would eventually meld with this alien character to create the Vulcan, Spock we all know. Leonard Nimoy spent years trying to distance himself from the Vulcan after the original series ended, but he eventually learned that Spock was as much a part of himself as he was of the character. And, Spock, the half-human, half-Vulcan Science Officer on board the USS Enterprise was in constant turmoil with the emotions he felt and had to repress to be a Vulcan. Nimoy crafted a wonderful character whose internal conflicts could be intimately felt and shared by many of us across our planet Earth. Leonard Nimoy, a man of many talents: actor, director, producer, photographer, narrator, poet, musician, creator of Spock, will be missed. 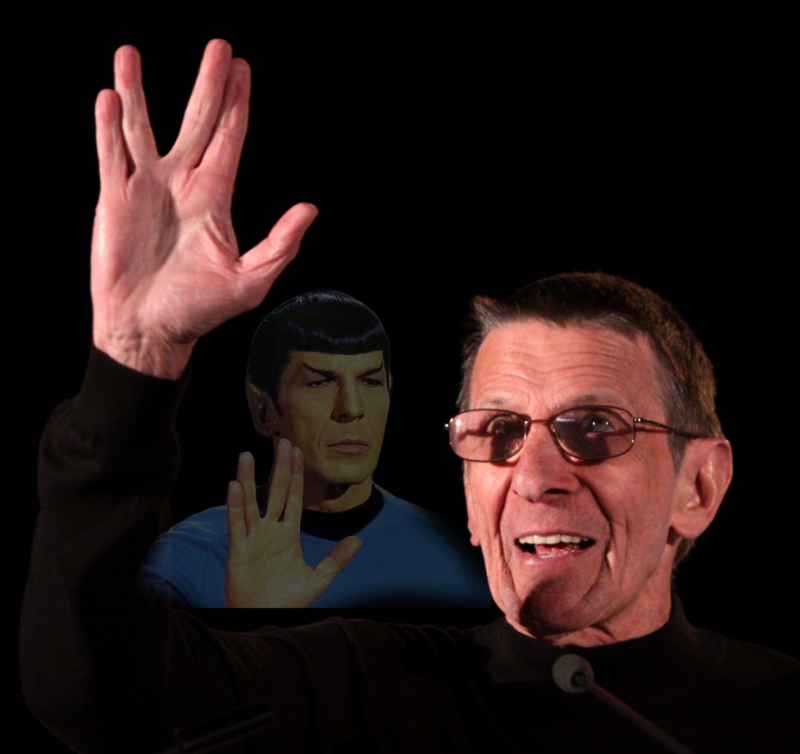 For whatever the Cosmos holds for you, live long and prosper and thank you for your inspiration. This entry was posted in Uncategorized by RC Davison. Bookmark the permalink.